Mumbai Page and International Page Updated. The minimum temperatures map of India show the "Blues" and the "Greens" having slipped southwads as discussed earlier. On comparison of today's map and the one put up on the 8th, we can see the cold nudging down. But, things will change again from Friday. Night temperatures from Punjab to Mah. and all over the NW and central regions will start rising. 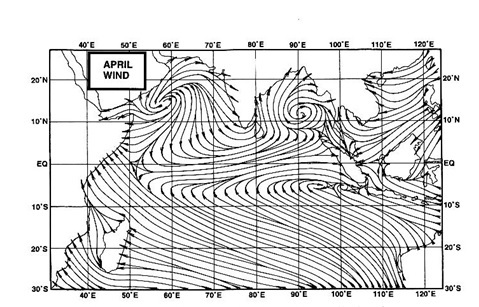 The South India cold wave mentioned on the 8th. persists as on Thursday. The Karnataka and adjoining A.P. areas are in the grip of some severe cold, as comparitive temperatures have dropped considerably, to 9c below normal in places.The coldest palce in the South was Chamrajnagar, dipping to 7c !Ooty in the hills was at 6c. In Tamil Nadu, Nagapattinam, Tirruchapalli and Salem were 4c below normal, with Salem recording 16c. In Karnataka, Mysore reached 10c ! That, according to my (not so updated) records turns out to be the lowest ever for any time for Mysore. My records show the previous ever lowest at 10.6c on December 13th. 1945. Chintamani recorded 8c and Medikeri saw 9c (6c below normal) and Belgam 10c. A.P. cold was he severest in terms of below normality. Anantpur with 10c was 9c below the normal ! This also becomes the lowest ever for Anantpur, the previous low on 2 December 1970 being 11.1c. Tirupathy A.P. dipped to 12c which was 8c below normal. Both these qualify for a severe cold wave status as per IMD terms. Nadigama was 13c, again 6c below normal. F2 is now moving eastwards, and has started its freezing precipitation over Balochistan region of Pakistan on Thursday. Dal bandin has measured 6 mms and Kalat in the region is getting ice and rain since the evening of Thursday.Nokkundi did not rise above 15c today, with a dust storm in the afternoon. Rainfall will also be recorded in upper Sindh with areas on the Western coastline getting some rains too. Karachi, should get showers/thundershowers on Sat/Sun. And this system should be over NW India by Friday. Friday/Saturday and Sunday will see rain/snow over Kashmir, H.P. and rains in the plains of Punjab, Haryana and West U.P. UTH shows the possibilities of rainfall over the Northern half of Rajasthan. Simple Map on Vagaries Forecast Page. Precipitation coverage of Western Nepal and Central regions of Nepal from Monday thru Wednesday.Though the rains skipped Kathmandu in the F1 tenure, seems F2 will not let the city down on Tuesday/Wednesday. what are the chances of atleast one WD dipping upto Central latitudes. Expected atleast one cloudy day in Mumbai this winter like before. emkay. I see W.D. F2 dipping into Kutch region as an UAC on Tuesday/Wednesday.Chances of partly cloudy weather in Mumbai due to this. Shall confirm on blog on Mumbai page once picture gets clearer ,say by Sunday.